Some Alaska marijuana shops have suddenly found themselves with one less outlet for advertising this week. Owners and employees of at least six marijuana retail stores in the state said that within the past week, their Facebook pages were either taken down or entirely deleted by the tech company. 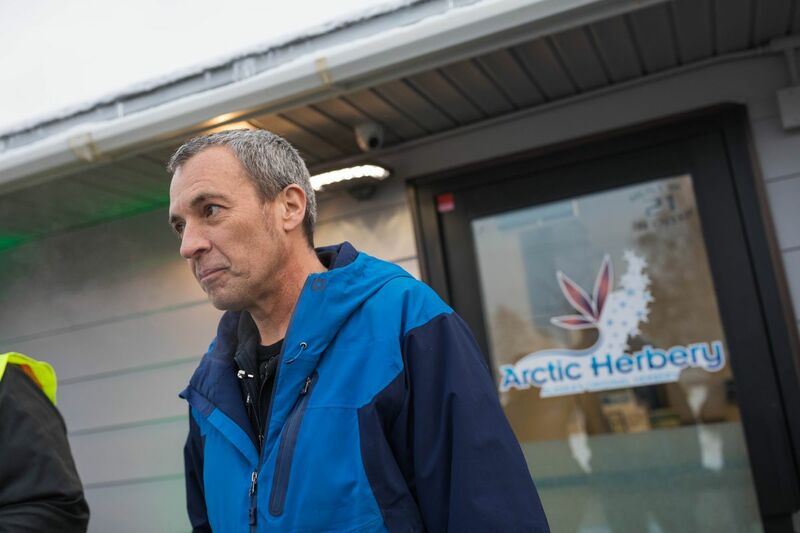 At Arctic Herbery, owner Bryant Thorp said his shop's page was shut down Friday or Saturday. Another Anchorage shop, Enlighten Alaska, also had its page removed from the site about a week ago, said co-owner Jane Stinson. It also happened at Frozen Budz and Pakalolo Supply Co., both in Fairbanks, and Dankorage and Alaska Fireweed in Anchorage. “(Facebook) has been huge for us. That’s where almost all our advertising comes from,” Thorp said. He’s had issues with his Facebook page for a few months and has since focused on boosting his following on Twitter and Instagram. Facebook has a set of community standards that dictates what is and isn't allowed on the platform, said spokeswoman Ruchika Budhraja. On a page explaining those community standards, under a section called "regulated goods," Facebook says it prohibits "any attempts by private individuals to purchase, sell, or trade prescription drugs, marijuana, firearms or ammunition." Marijuana businesses generally have to use caution in advertising, in part because state guidelines for pot ads are somewhat unclear, Alaska Dispatch News reported last year. Facebook — along with other social media platforms — is one of the biggest places for getting the word out about their businesses. Jana Weltzin, an Anchorage-based attorney who specializes in the marijuana industry, said this is hardly the first time cannabis companies have had issues with Facebook. At a Marijuana Control Board meeting next week, Weltzin plans to propose a set of regulations to address the "lack of clarity" for advertising rules. The timing of the Facebook page removals seemed odd to some people in the local marijuana industry, too. The pages went dark around the same time Facebook CEO Mark Zuckerberg was visiting Alaska for the Fourth of July weekend. "That's what kills me," said Cary Carrigan, executive director of the Alaska Marijuana Industry Association. "Zuckerberg shows up and Facebook pages are down." "It's a weird coincidence, that's for sure," said Rich Beezley, chief operating officer at AK Fuzzy Budz in Anchorage. He said the shop's Facebook page has been shut down four times in the past month, but didn't have an issue this past weekend. He speculated that might be because the shop was closed for the holiday and wasn't posting on Facebook. "We're just in fear we're going to be shut down too," he said. When asked about the timing of Zuckerberg's trip and the page removals, Budhraja said she "wouldn't think the two are tied." She hadn't responded by press time to a question about what specifically spurred the removal for each shop. Will Ingram, general manager at Alaska Fireweed, said he found the shop's Facebook page was unpublished when he went to post an update Monday. At Pakalolo in Fairbanks, co-owner Keenan Hollister said he got a notice on the Fourth of July that his company's page was taken down. When Dankorage co-owner Lily Bosshart saw that the shop's page was unpublished, Facebook's notice said that the tech company removes "any promotion or encouragement of drug use." Carrigan speculated that because all the pages were removed around the same time, perhaps it's a coordinated effort of some kind. Destiny Neade, co-owner of Frozen Budz, isn't heartbroken about losing the platform, but she wishes she had a better understanding of what happened. Some retail shops around the state don't appear to be affected. Facebook pages for Herbal Outfitters in Valdez, The Herbal Cache in Girdwood and Rainforest Farms in Juneau were still up Thursday afternoon.